You must be wondering what was the spectacular event that caused such a flurry of introspection? It wasn’t even anything very dramatic. All I had done was to go out for a social with “the girls’.” I didn’t take my canine partner that night. There was not enough room in the car for five female backsides plus dog and besides, it would have been too noisy for her. I didn’t even take my stick. I can manage short distances without one, and knew my awesome best friend would present a willing arm when needed. I was so looking forward to this get together, although I knew they’d be expecting some funny stories about my new adventures in Internet dating. It had taken eight years of constant badgering to get me to consider it, so I knew I owned them something. Yet there was not much to tell. I wasn’t exactly being inundated and wondered what was proving so off-putting, my face, figure or disability? . I had my suspicions but wasn’t sure. After all as well as being disabled I was also middle aged and, to be honest, kind of regretting joining. The silence in responses was deafening and not exactly self esteem building. Yet that night something truly bizarre happened as I was “hit on’ several times. One man caught my eye, and stopped to chat while another joked with me at the bar. A third even brushed my arm as he complimented my dress and offered to buy me a drink. What the heck? I was used to people stopping to talk about my canine partner, but hey this was new! Am I the next mature Naomi Campbell look-alike parhaps? Ha! Do I need to even answer that one? I am just a middle aged woman, with a smiley face, who likes to keep trim and enjoys 60s dresses. So what on earth happened that night? 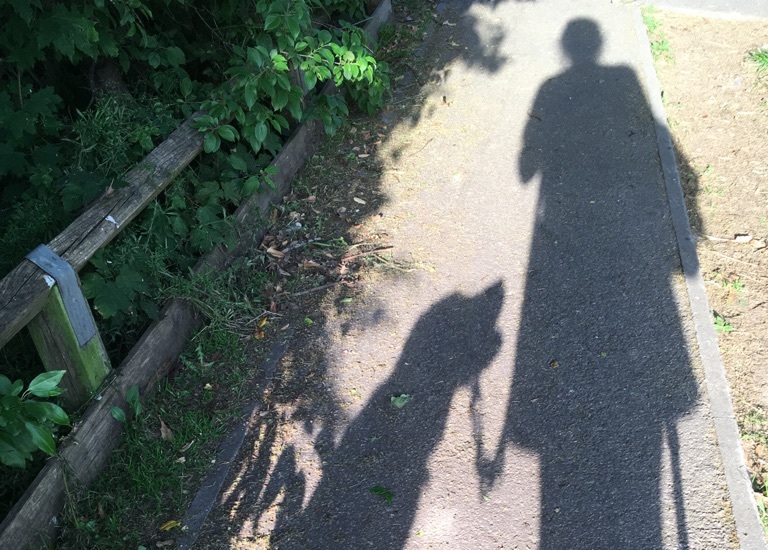 Did my friends employ them to ease my battered self esteem (I have great friends so its possible) or was my disability dog and tripod stick the turn off? I decided to delve a little deeper. There are about 10.8 million disabled adults out there, 6.3 are woman and 5.4 are men and they remain significantly less likely to join in leisure activities than their able bodied counterparts (DHWP January 2014). Tim Sykes, a dyspraxia sufferer, believes that the majority of disabled people are stereotyped, lumped together under the umbrella of disability . For him disability isn’t about personality at all, but just like race or sexuality, part of the context within which the personality develops. He too tried Internet dating several times and the first time hid his disability until the time felt right, Dishonest I hear you say? Any more dishonest parhaps that posting up old photos, or photos taken before the spare tyre took residence, or the hair and head parted company? We all do it right? Chose our best photos? The ones taken in soft lighting, black and white, or at the right angle to downgrade any lumps, bumps or wobbly bits that we are less proud of? Tim suggests that many disabled online subscribers face the same dilemma. Do I show my disability in the photo? If I don’t (or if my disability isn’t visible), then when is the best time for me? After a few unsettling experiences Tim decided to be straight from the start and believes now that’s the only way to go. He partly blames the majority of online dating sites for the dilemma disabled people face. Unlike Christian Connection, they don’t make it possible for disabilities to be included in the profile, so its left to the user to decide the great “if and when” conundrum. Considering the amount of disabled adults out there, maybe it’s about time those dating sites became more user friendly for disabled and ultimately able-bodied daters? My favourite story comes from Murray, a 30- year -old cerebral palsy sufferer. She too decided to be honest, so in her profile told the reader that if he were interested in climbing Everest he would have to go it alone. However she’d be waiting for him at base camp, keeping the tent warm . Don’t you just love it! Always be yourself, after all everyone else is taken. Shannon Murray, a wheelchair user and model, is a fervent believer in honesty from the start. She always keeps a list of wheelchair friendly bars and restaurants on her phone and is fully open about her condition. However she says that it’s important to get the balance right. Some of her relationships ended badly because she tried so hard to stay in control. She didn’t want to appear vulnerable and so ended up becoming “over-independent” . Always be yourself, but you don’t always have to be the superhero version. “If you reject someone because of their disability, you could be rejecting the next Beethoven, who was deaf and made such beautiful music that we still play it today… or the next Stephen Hawking, who has taught us more about the universe than any other human.” . Always be yourself, and never believe you are inferior in any way. Cara Liebowitz, 23, a cerebral palsy and OCD sufferer, has a somewhat more passionate message to convey to the able bodied community. We are not your charity case. We are not your feel good story… We don’t need non-disabled people to do “special’ things for us, so if you are genuinely interested in us great! But don’t act like you’re a saint for asking a disabled person out… that’s a great way to get dumped . Always be yourself and the people worth knowing will accept you for who you are. So I bet you’re wondering what happened to my admirers in the end? I’d love to say I’ve since motor-biked off into the sunset with my chosen prince, with dog in a side seat and stick strapped to the back. However I didn’t follow it up in the end, despite the pretty unsubtle eyebrow raising and tittering from my friends’ corner. It was a good night for self esteem, although mischievously I did wonder what would happen if I returned the following week in the same dress with my dog in toe! Now that would be some interesting action research, right? Undoubtedly disability has been the sternest of teachers and one that still forces me to face fears upfront, day –by- day. It’s tough being disabled in a world designed primarily for the able bodied. I’ve been on both side of the fence and I believe that the key to happiness is never through the ego-led events, but by discovering your role in life, and embracing it wholeheartedly, whatever format it takes. Accept yourself and you will find others willing to do the same.